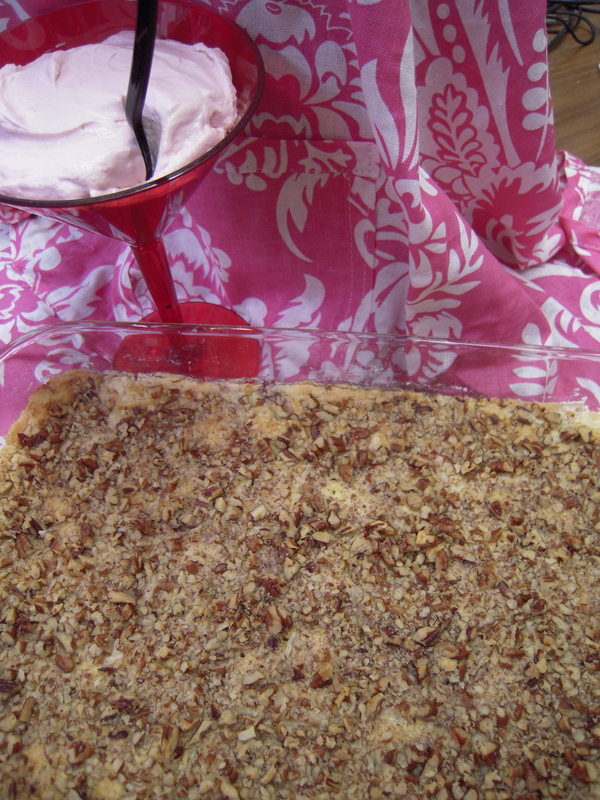 In a 9×13 baking dish, spread evenly a 20 oz. can of drained, crushed pineapple. Pour 1 cup of the Savannah Blackberry Mix over pineapple and stir together with a fork. Sprinkle with a box of dry yellow cake mix and smooth out with a fork. Drizzle evenly with 1 stick of melted butter. Sprinkle with chopped pecans. Bake at 350 for 35 minutes, or until browned. Serve with Savannah Terrific Whipped Topping (recipe follows) or ice cream drizzled with additional Blackberry Mix. Yum!!!! Add 1/3 cup Savannah Blackberry Mix to 12 oz. thawed Cool Whip. Use as a dip or to top desserts or drinks.